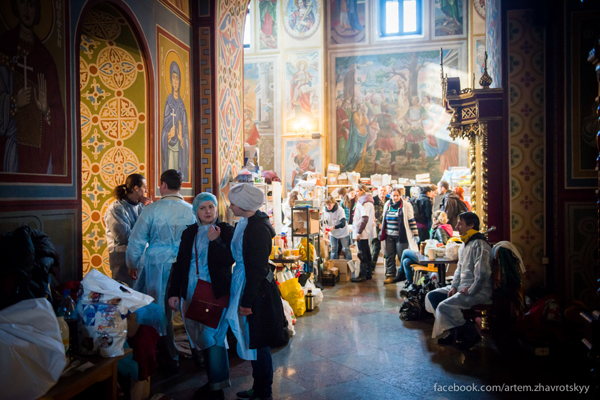 Artem Zhavrotsky has contributed a photoessay to Pravda showing the role of churches in Euromaidan. His photos highlight how churches have become important places for the distribution of food and medicine, where volunteers have gathered to help and those in need can receive medical care. 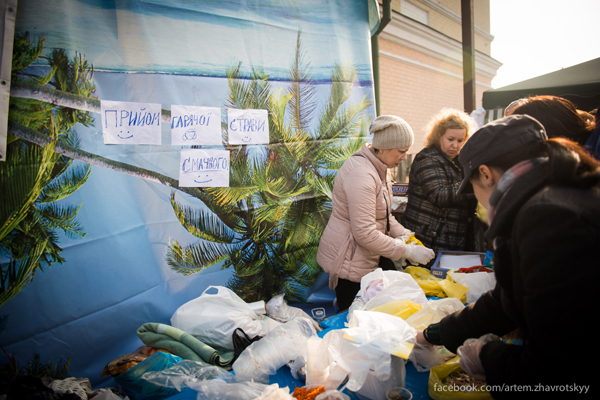 Volunteers distribute necessities. Photo by Artem Zhavrotskoho. Please view the whole collection here. “Собори душ наших: церква під час революції. Фоторепортаж.” Українська правда. 25 Feb. 2014. Web. 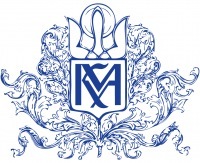 3 Mar. 2014.